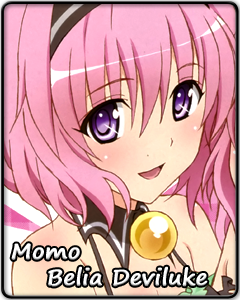 A pretty face, a well-balanced figure, a cute voice, good grades, and great athletic ability – Momo is the ideal girlfriend anyone would want to have… but is that really her? Anyone who is not her friend, whom she does not know, and who she does not trust is a hindrance. They are nothing more but creatures she is forced to be nice around to maintain her "nice girl" act and high status. Humans are so gullible to her good nature that it is easy to manipulate them to do whatever it is that she wants. And she will obtain whatever she desires; no questions asked. Of course, no one knows that is how Momo thinks or feels. Not even her sisters or best friends are able to crack what is going on in her mind. Is she going to conjure up a scheme involving them as an experiment for her plan? Is she willing to do something "interesting" to them for her amusement to see what happens next? How much of what she does is through genuine interest rather than cunning intent? These questions may never be answered. In fact, the only person that Momo can share her feelings with… is herself.